The estimated 200 Parsis who live in Chennai are determined to keep their cuisine alive, whether inside their homes or through monthly banquets. Ask any Parsi and you’ll get a passionate response about a cuisine reflective of the group’s multicultural history. Braiding together mostly Gujarati, British, Portuguese and Goan influences, Parsi food features an exotic tang that sets it apart from other traditional Indian foods. 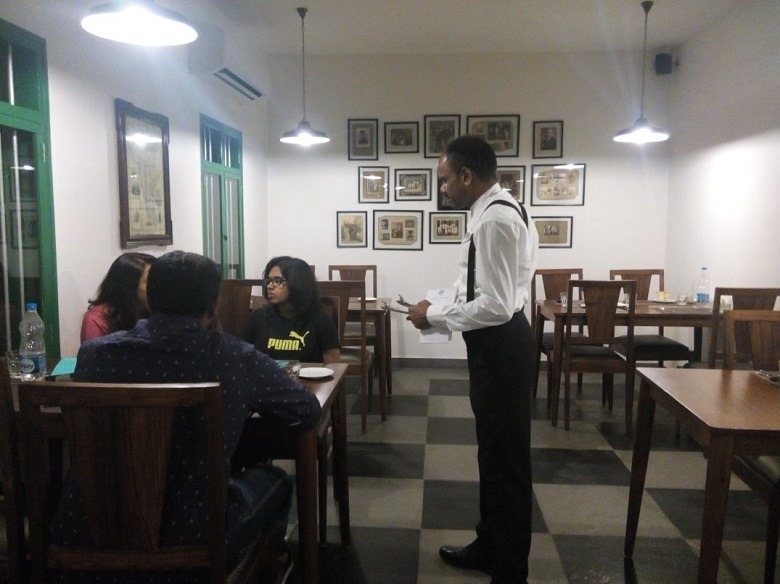 Although only around 200 Parsis live in Chennai, they are determined to keep their cuisine alive, whether inside their homes or through monthly banquets. On these occasions, the community gathers to feast on authentic Parsi food such asDhansakh, a medley of lentils, vegetables and meat chunks; pulao, laganu custard (caramelized custard) followed by an array of other dishes. “It is the only place where Parsis can get a sumptuous Parsi meal outside their homes,” says Mahair Shroff, a Parsi caterer who cooks for the community events. Over the years, as they migrated from Iran to India they adopted the food habits of other cultures and blended it with their own. Take for instance Dhansakh, which is generally served with caramelized brown rice and kachumbar, combines Gujarati and Parsi elements. A traditional Dhansakh consists of meat cubes, a mixture of four different kinds of lentils (arhar dal, bengal gram, red masoor dal and brown masoor dal), chopped vegetables such as potato, brinjal, pumpkin pureed together and flavored with a tinge of Indian masalas. “It looks similar to Sambar except for the fact that instead of the vegetables floating in it, you can find lumps of meat or chicken,” says Zavera Shahuna, a former school teacher and a food enthusiast. Patra ni machi, another popular Parsi delicacy, takes in Goan preparation where pomfret fish is glazed with green chutney and steamed in a banana leaf. Deep fried potato julienne known as ‘Sali’ also forms an important ingredient in the Parsi kitchen. It usually appears in dishes such as sali boti, a traditional Parsi mutton curry with potato sticks on top. Parsis adopted potatoes, initially introduced to the Indians by the Portuguese, to season their food. 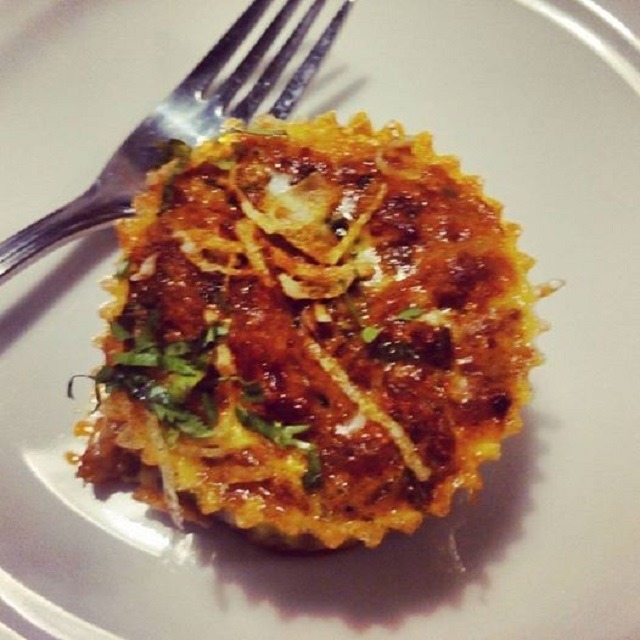 Being the first one to reach out to the British, the Parsis came up with a Sali per edu cupcake, baked egg cupcakes layered with kheema. Imagine someone taking out the flour and cream from the cup cake, stuffing the spicy kheema into baked egg and garnishing it with potato straws. It is enough to make one understand that egg, kheema and potato can create wonders. Parsi food is strongly non-vegetarian. Meat, fish and eggs assorted with a string of other ingredients take a lion’s share in any Parsi cook’s house. While bakes and desserts occasionally crown the Parsi menu, vegetables mainly appear as a way to jazz up an egg- one of the few ways that Parsis consume their veggies. “If we have guests in our house and they are vegetarians, it is very frightening for us,” exclaims Tehnaz Bahadurji jokingly, a Parsi and 30-year resident of Chennai . But it doesn’t mean the vegetarians are ignored. There are some distinct vegetarian dishes which Parsis love to consume along with their non-veg platter. With a shrinking community in Chennai, it’s not surprising that there are hardly any restaurants serving Parsi food. “Since our population is a dwindling number, there are not many into owning restaurants in the city. That is the reason why many people here are not aware of the cuisine,” says 28-years-old Kashmira Dubash, a resident of Thiruvanmiyur. While the restaurant offers few vegetarian dishes, chicken forms an alternative to mutton in the non-vegetarian menu unlike in most of the authentic Parsi cuisine. “The Dhansakh dal and the brown caramelized rice took me back home,” says 20-year-old customer Sharanya, a Mumbai born half Parsi. Despite the fact that Parsis relish eating red meat in most of their meals, there is a change in the way they cook their food today. These days Parsis make a conscious effort to add veggies to their diet. Take for instance if traditional Parsi food ismasoor ma gos (lentils with mutton), today people tend to substitute it with chicken or scrambled egg. “In my family, we have mutton or chicken twice a week. We add salads and veggies to make our food healthy. We prefer to grill our chicken rather than frying,” says Kashmira, a home cook. 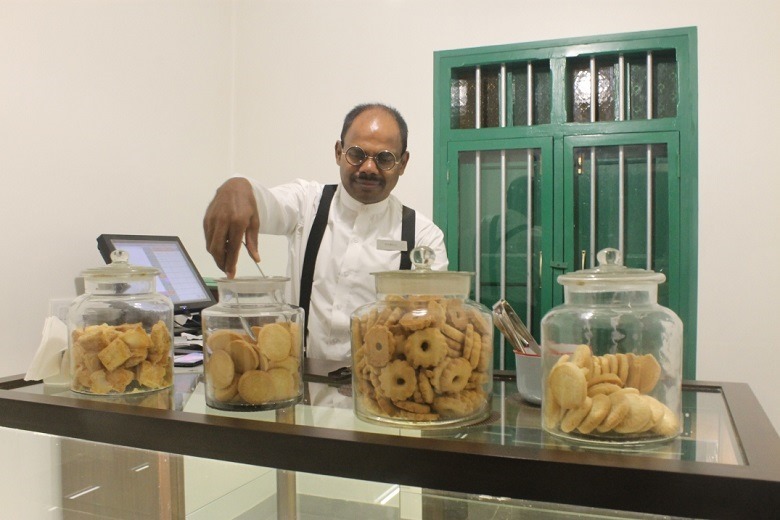 Tehnaz feels that the new generation hardly recognizes the traditional Parsi sweet dishes. “We have lost many traditional Parsi foods. Sometimes making them at home gets little tedious. Since my generation hasn’t learnt to make them, the younger generation hasn’t acquired the taste for them. Most of us today don’t make sweets such as dal ni pori and khajur ni ghari (a flour based fried pastry filled with dates and jaggery. We buy them from shops nowadays, mostly in Mumbai or Pune,” says Tehnaz. Kashmira points out that difficult-to-find ingredients allow the new generation to opt for easy- to-cook food. In addition, cooking Parsi food is a time consuming process. There is no denying that the traditional Parsi food is on a heavy side but it continues to remain the part and parcel in the lives of many Parsis. 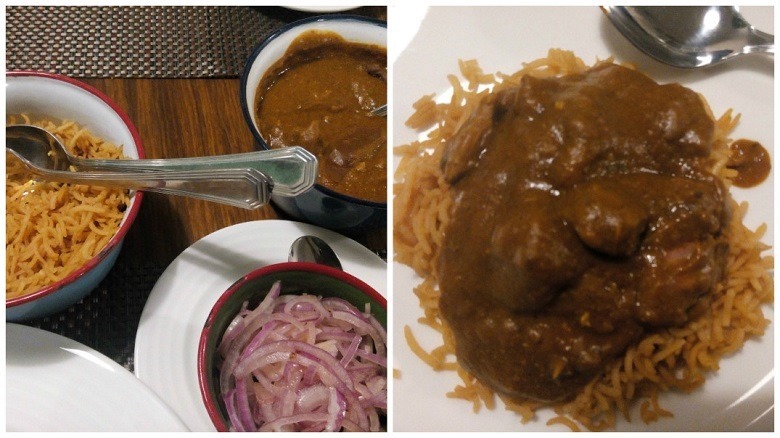 “Most of us still eat Parsi food quite often and get together at the dining table with hearty food and conversation. We enjoy our food and relish our lives,” says Tehnaz.